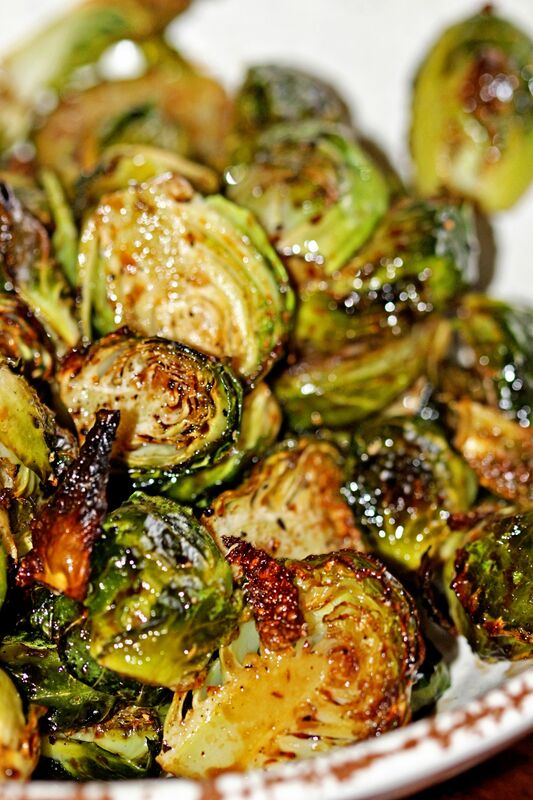 Overhead close up of bowl of roasted brussels sprouts with balsamic reduction & cranberries. 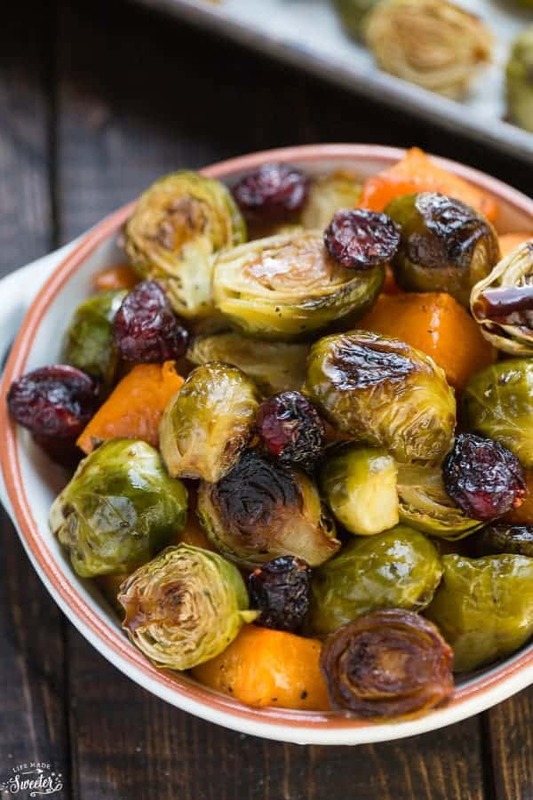 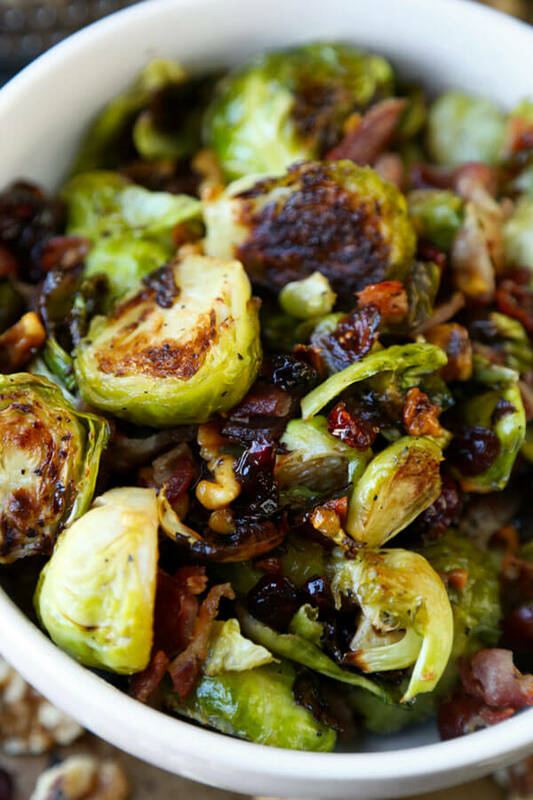 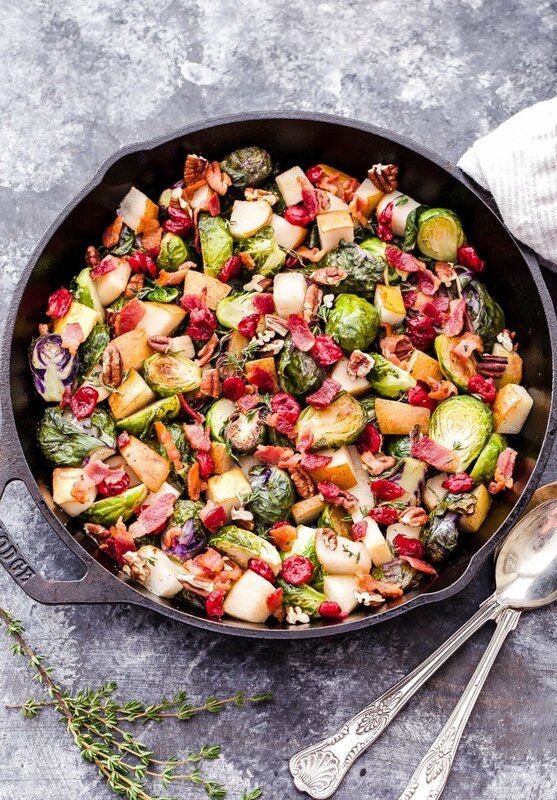 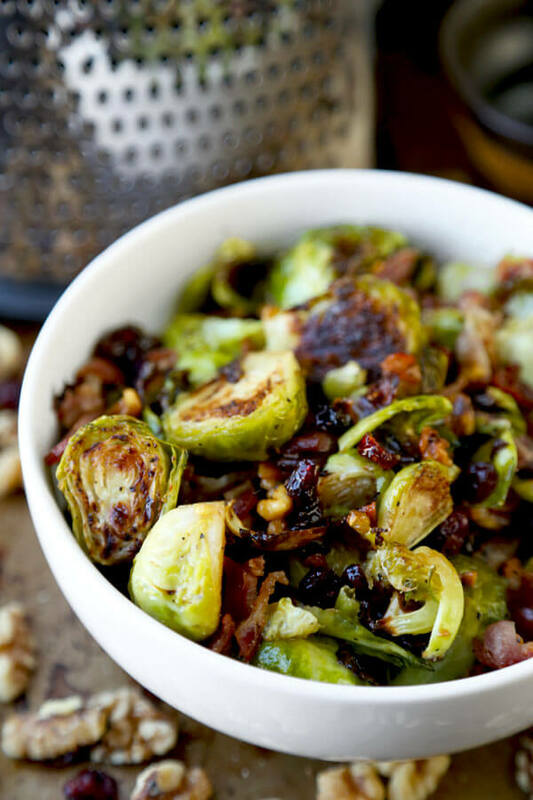 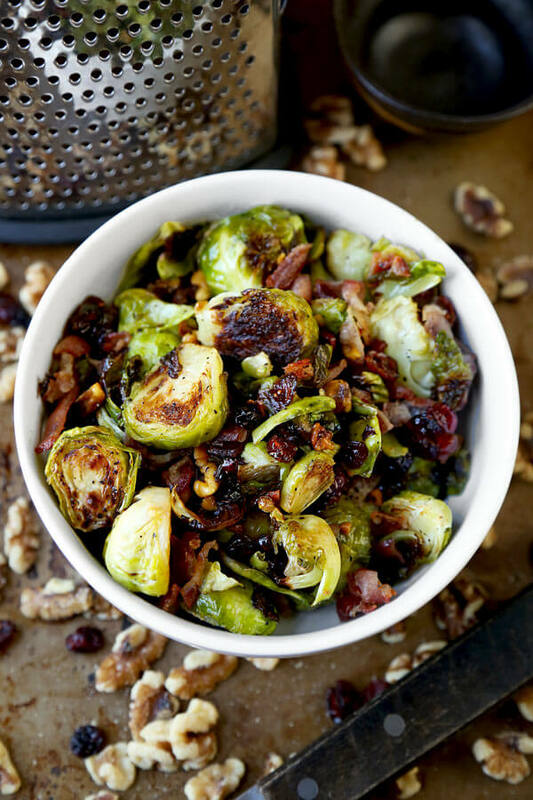 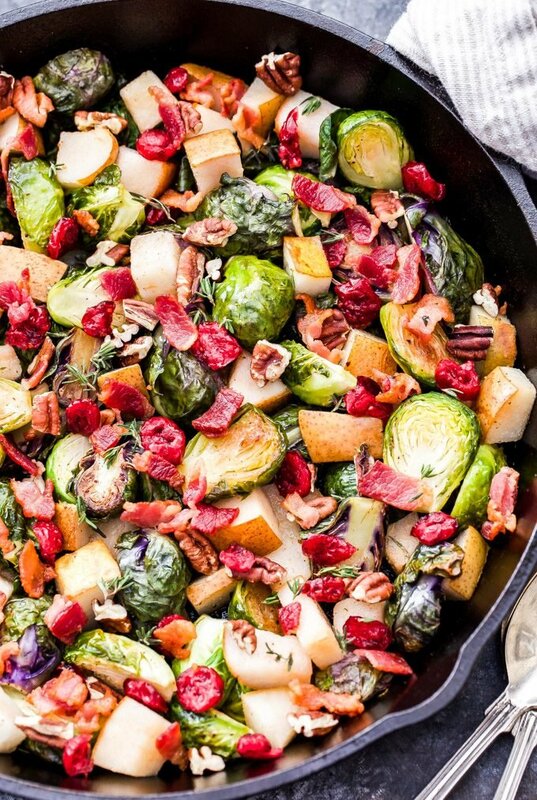 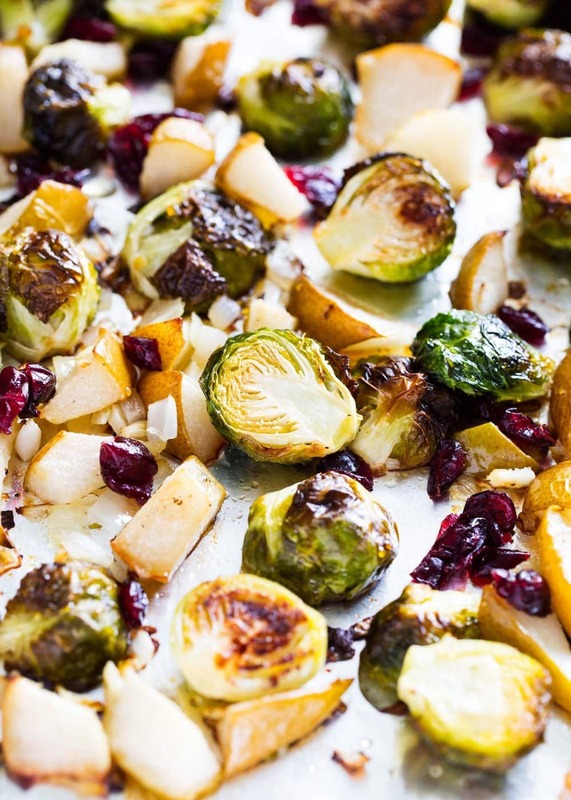 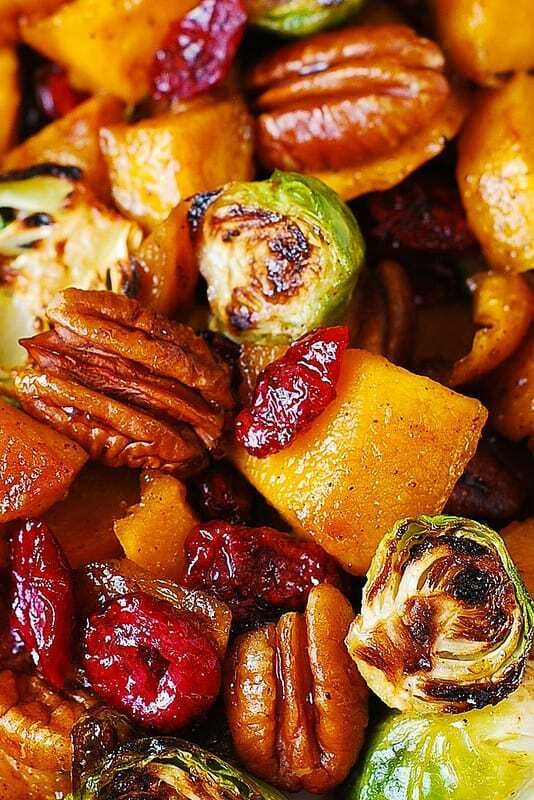 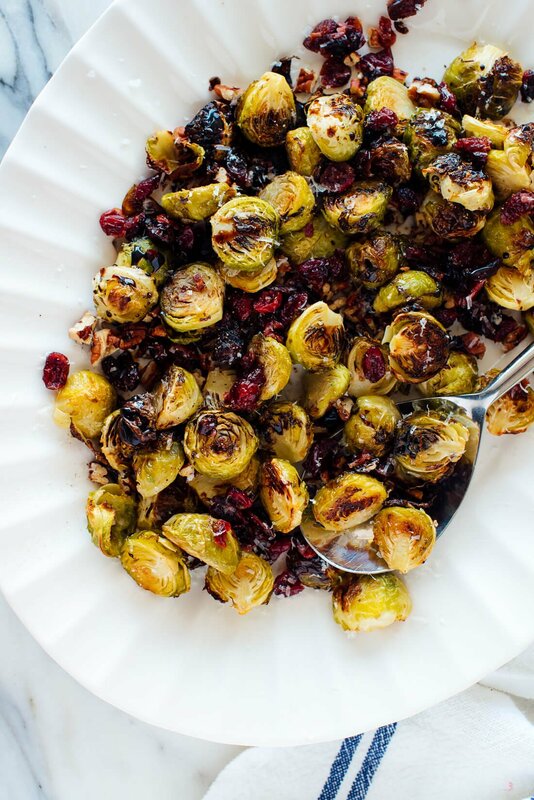 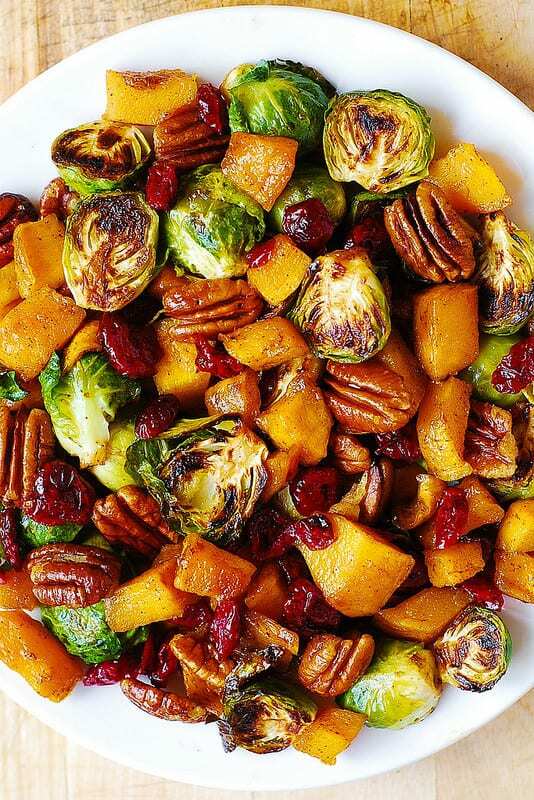 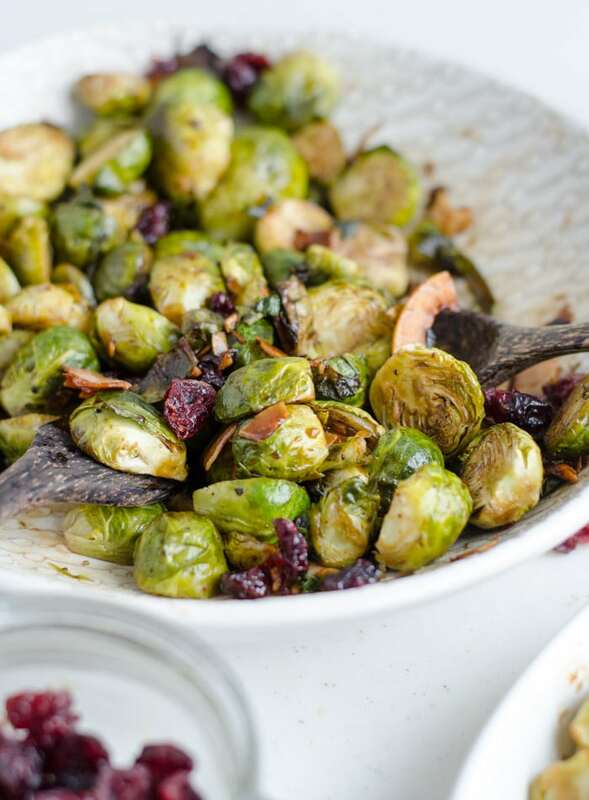 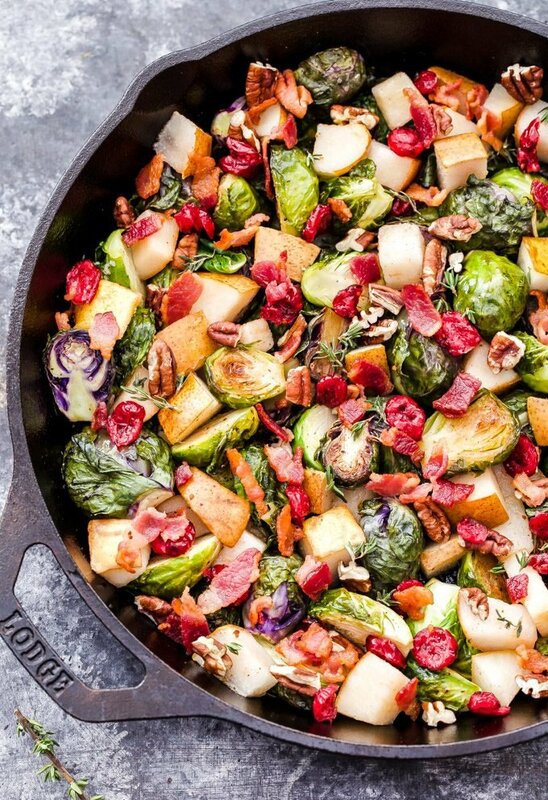 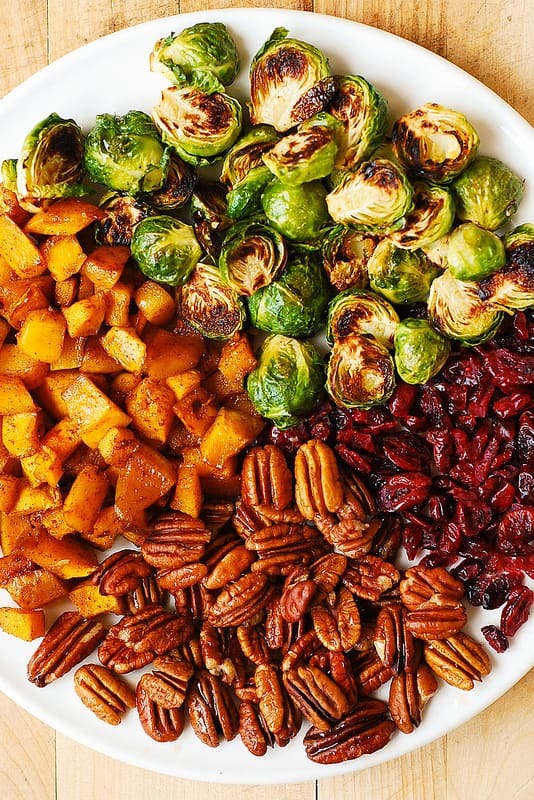 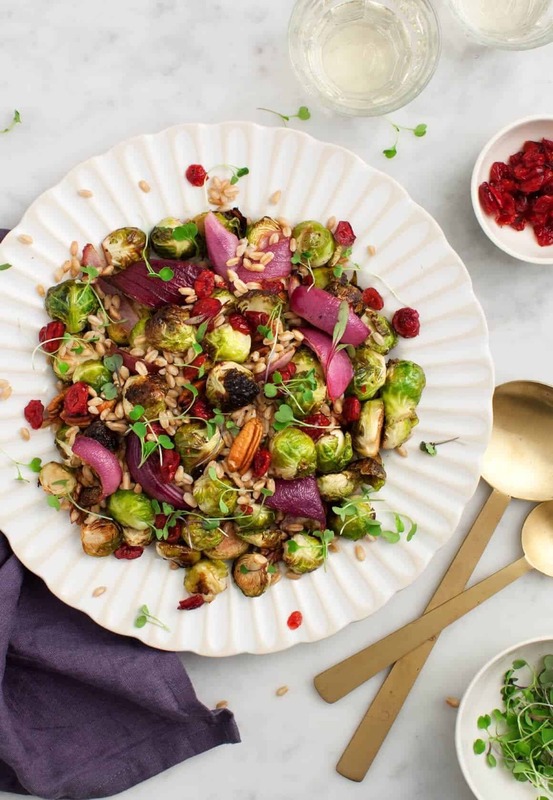 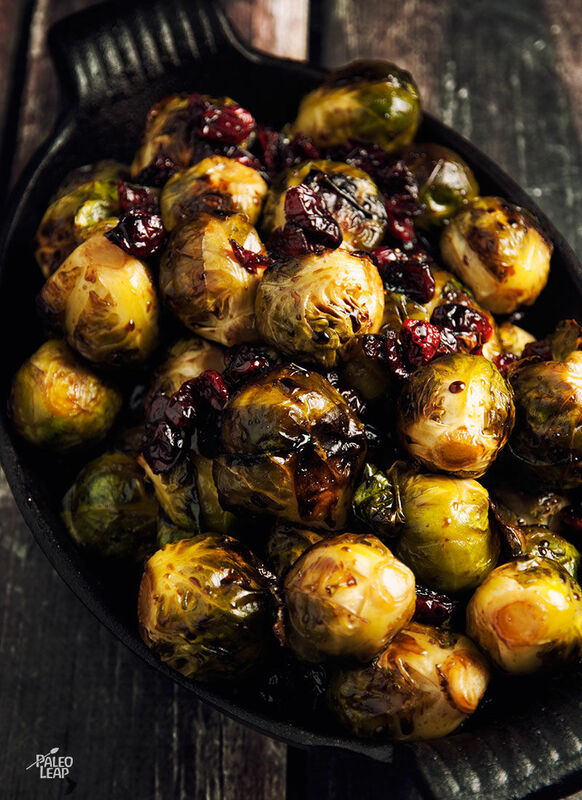 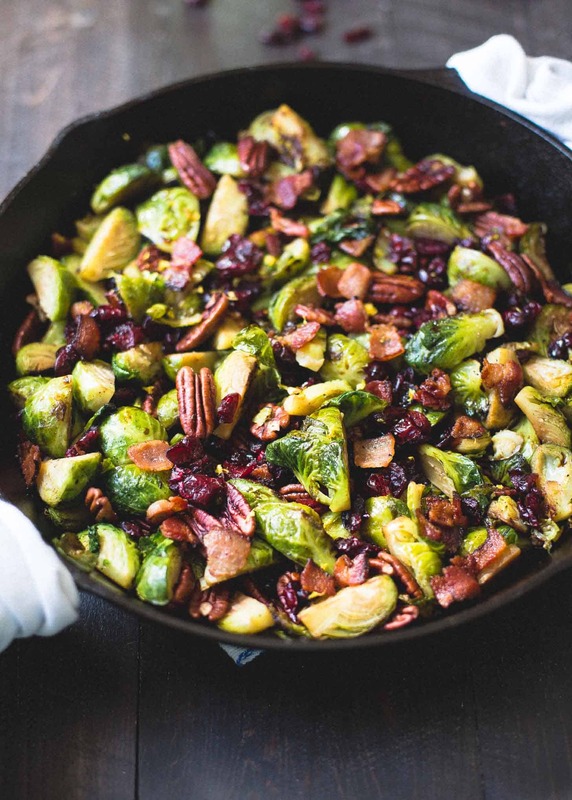 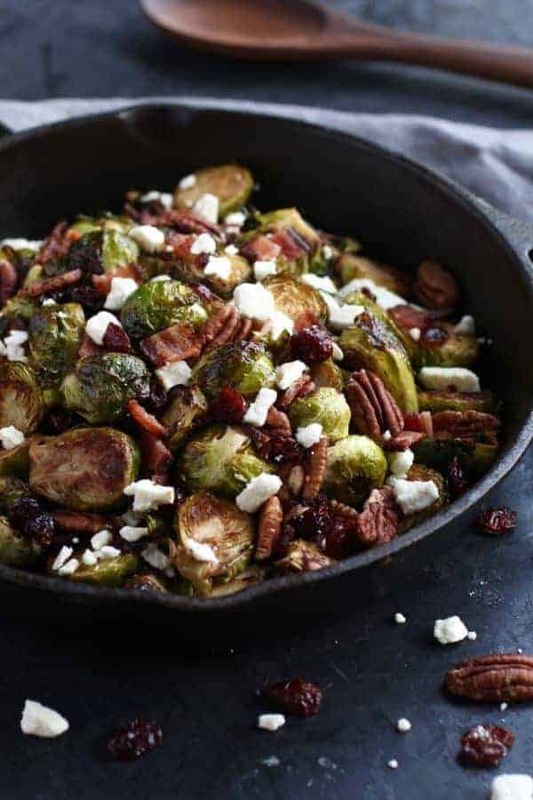 Balsamic Brussel Sprouts Roasted in a Maple Glaze and topped with cranberries and walnuts. 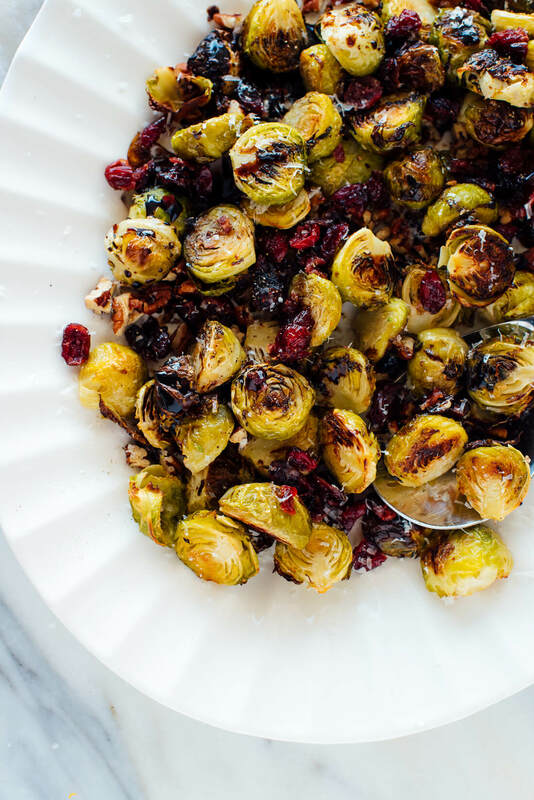 Bowl of roasted brussels sprouts with balsamic reduction & cranberries. 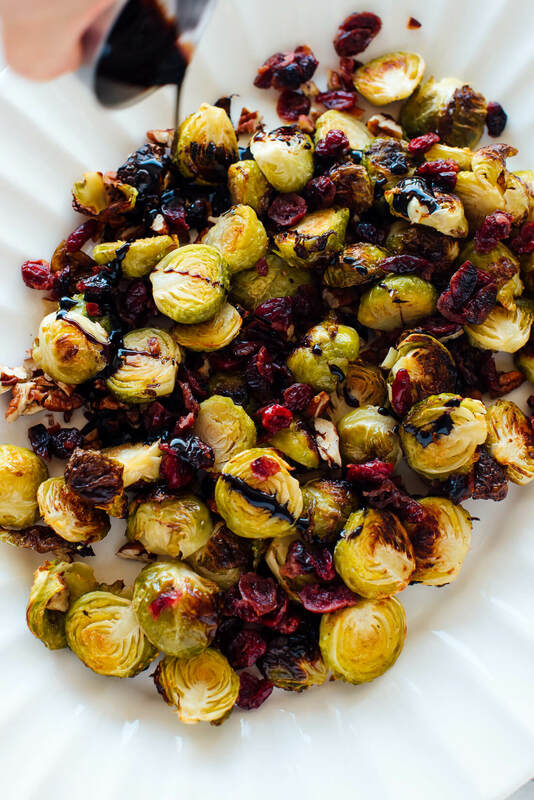 Hand reaching for bowl of roasted brussels sprouts with balsamic reduction & cranberries. 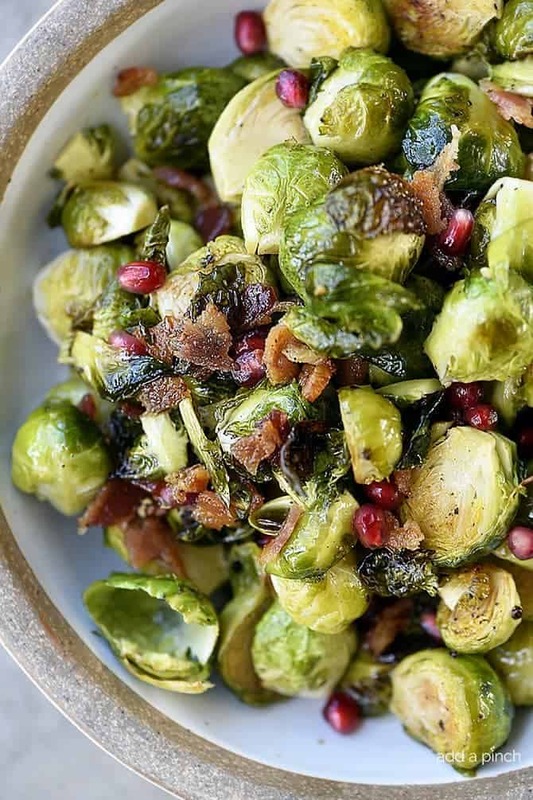 Bacon and brussel sprout salad on a plate. 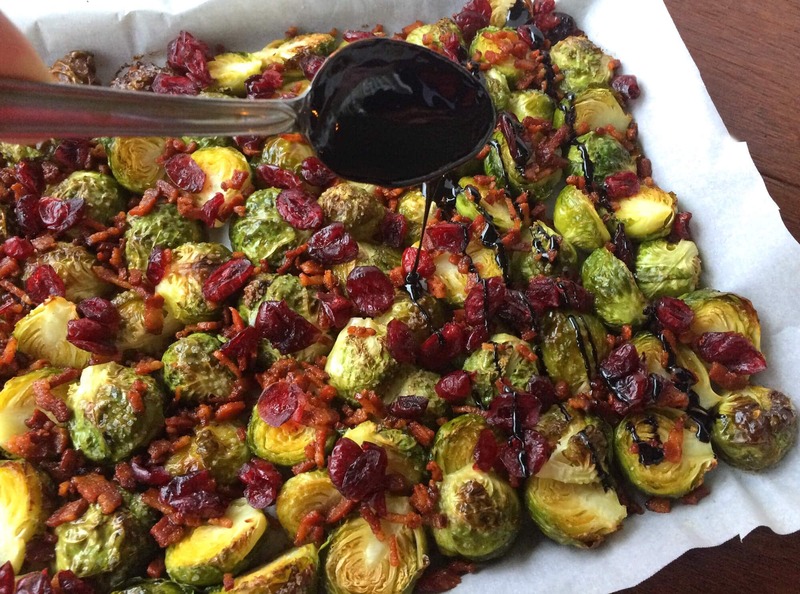 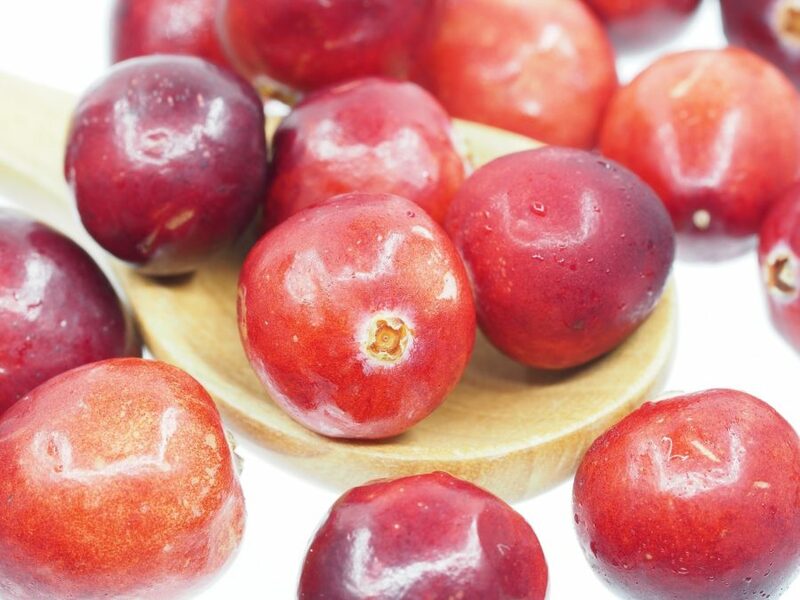 Overhead shot of bowl of roasted brussels sprouts with balsamic reduction & cranberries. 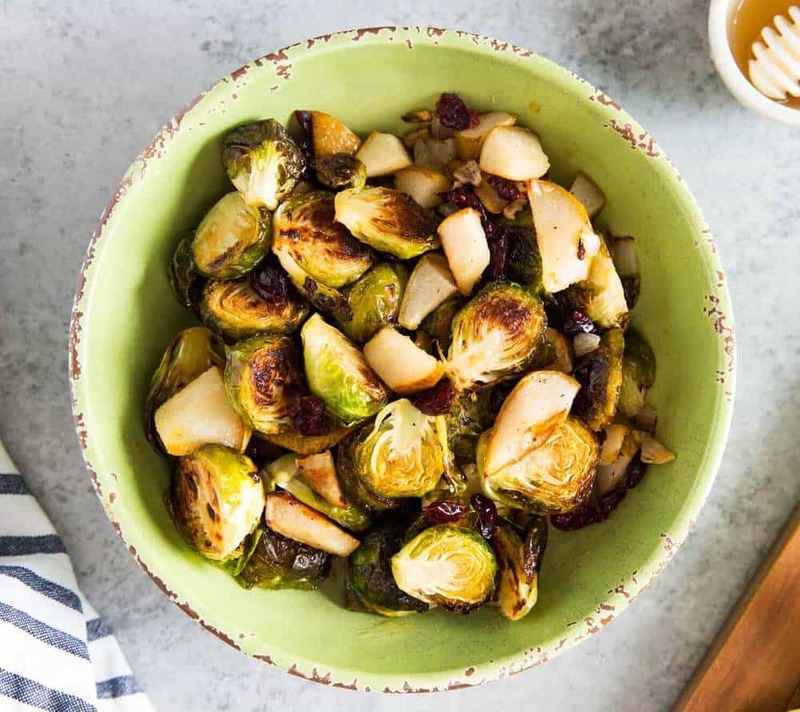 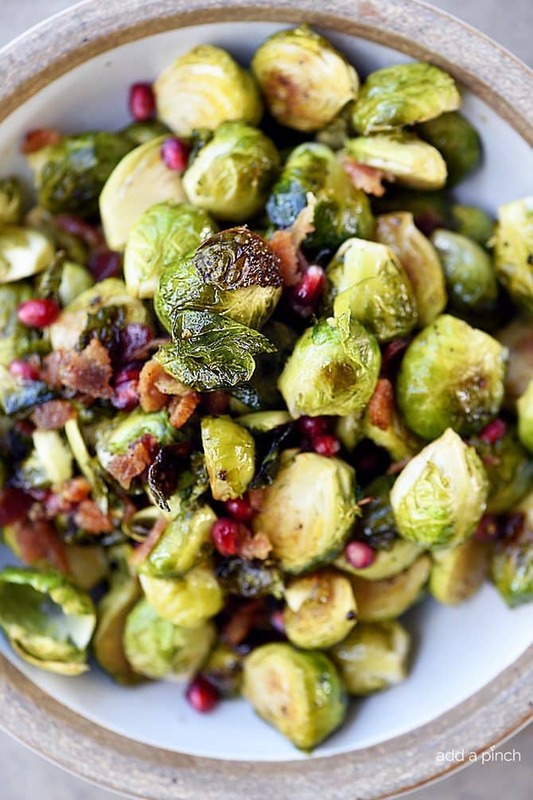 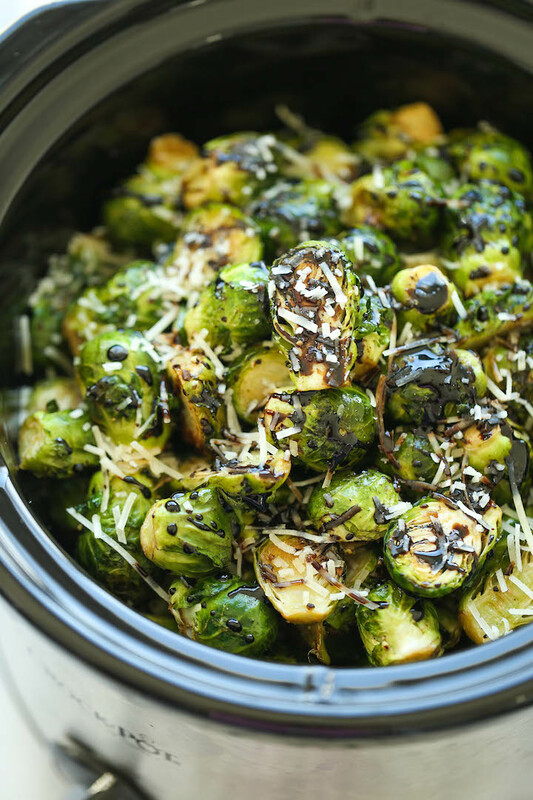 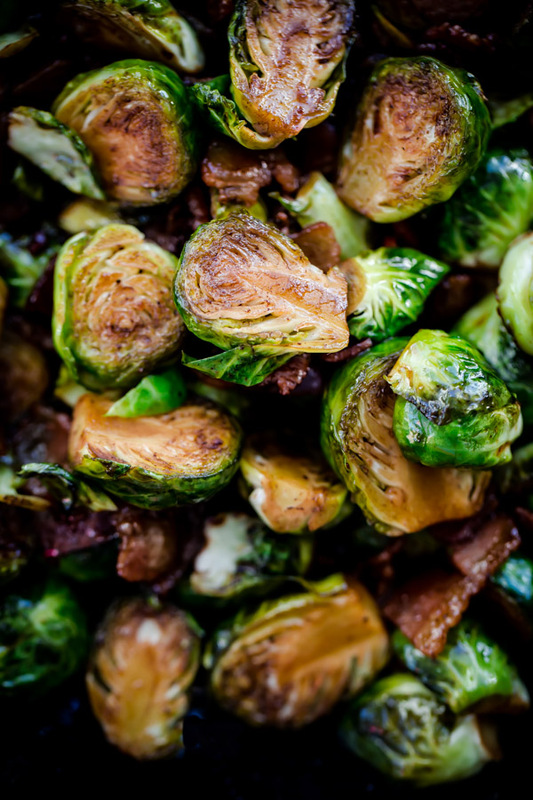 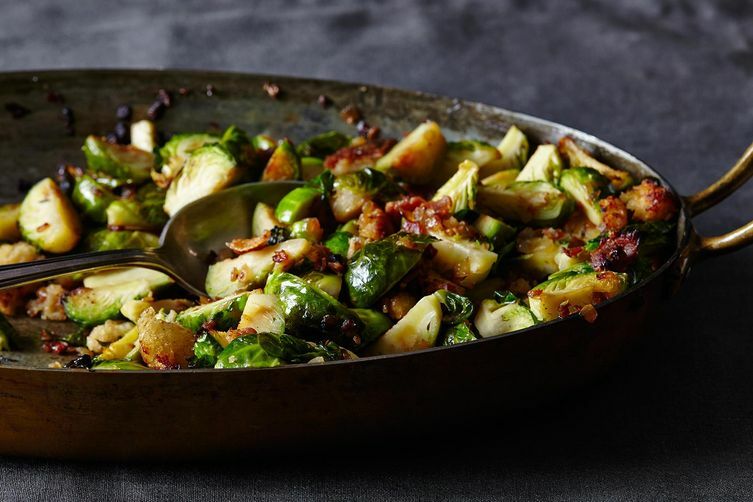 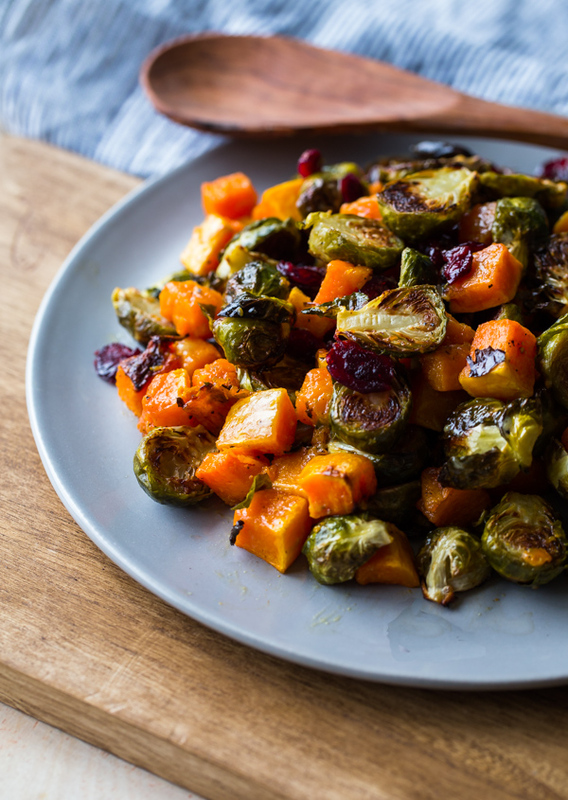 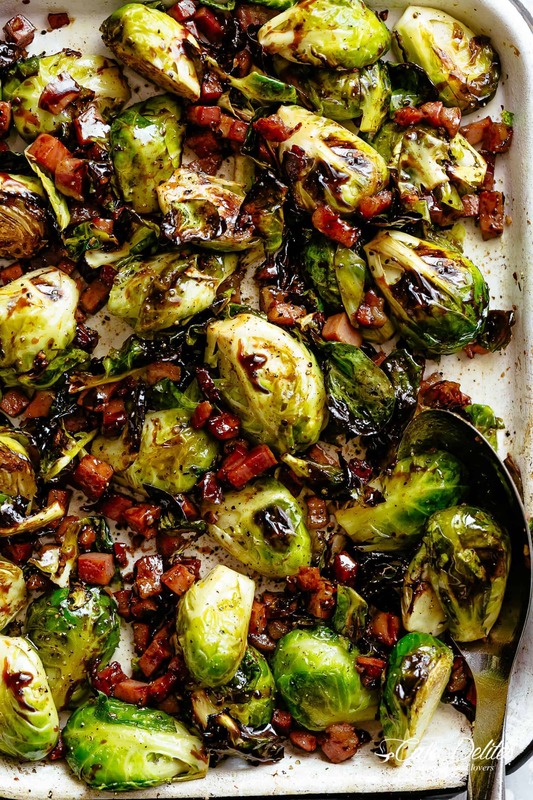 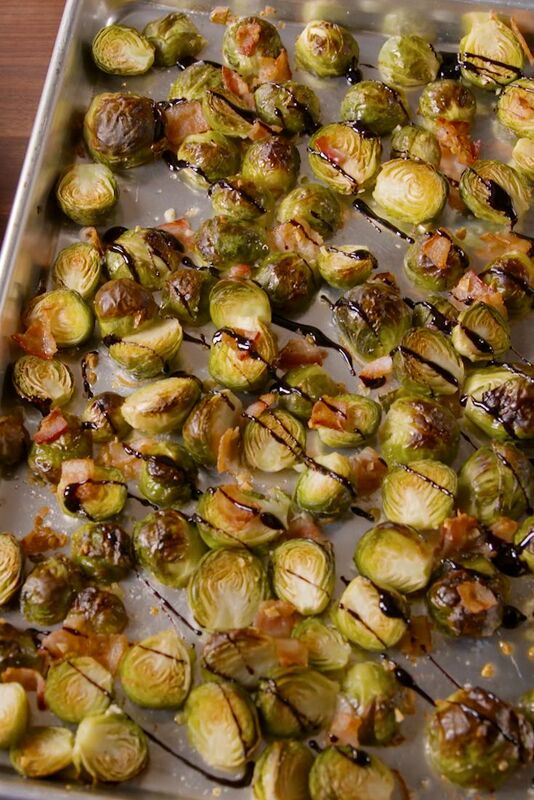 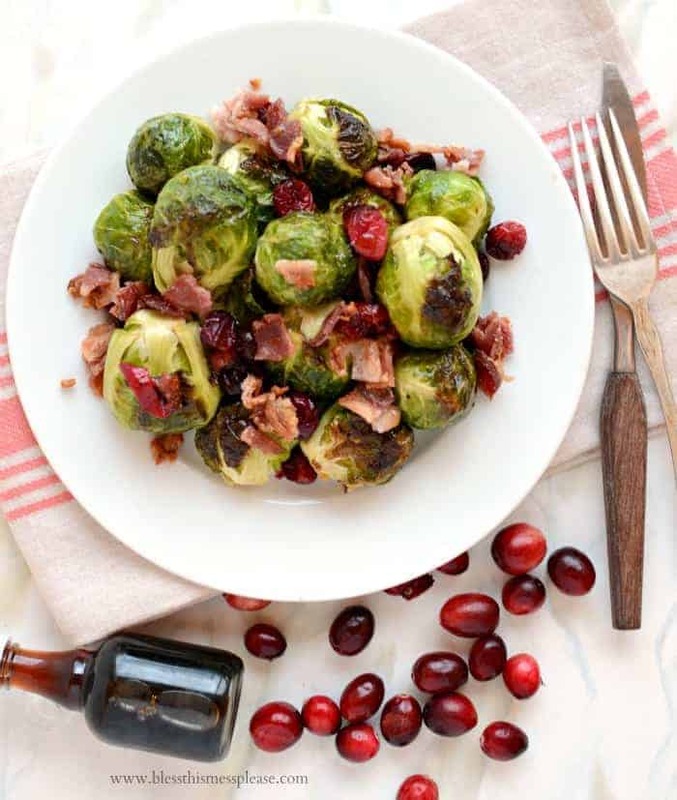 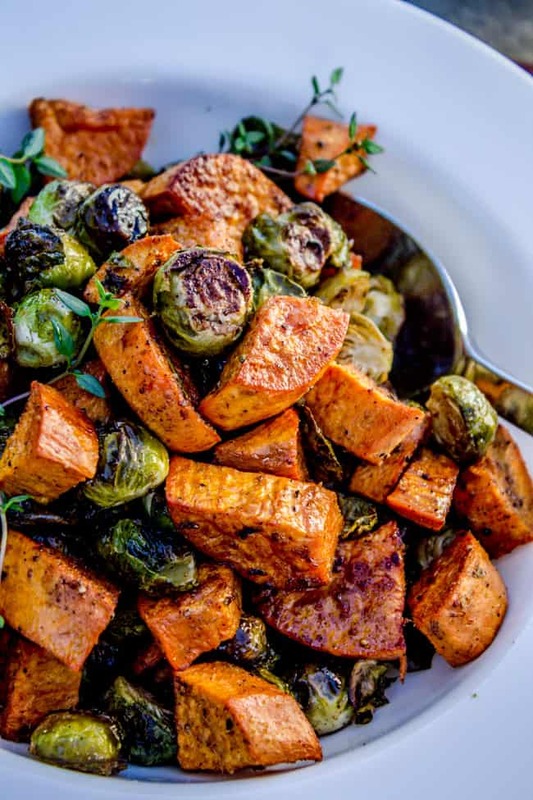 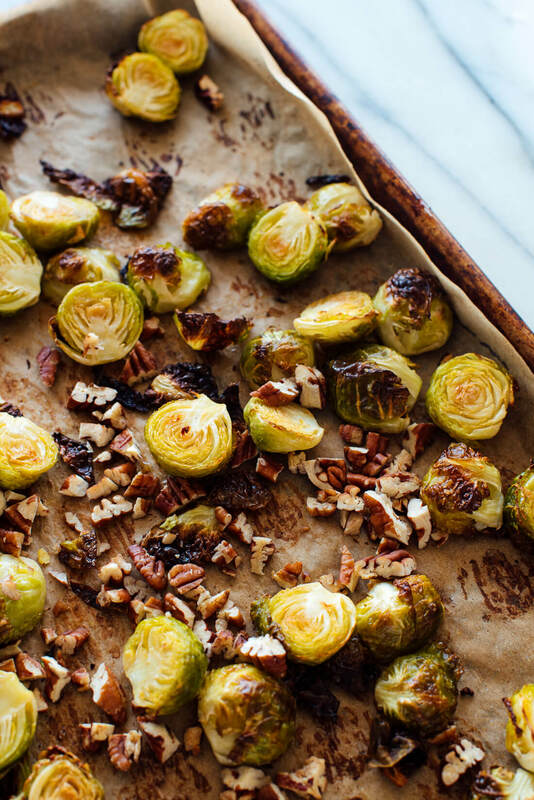 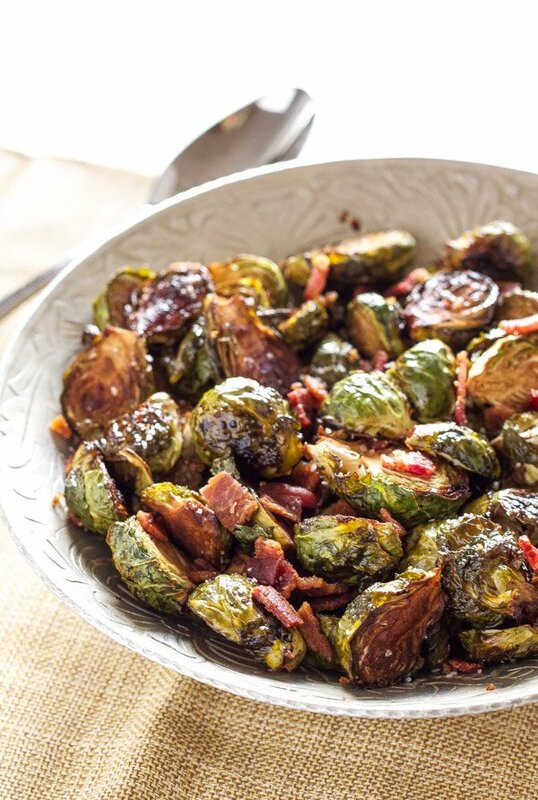 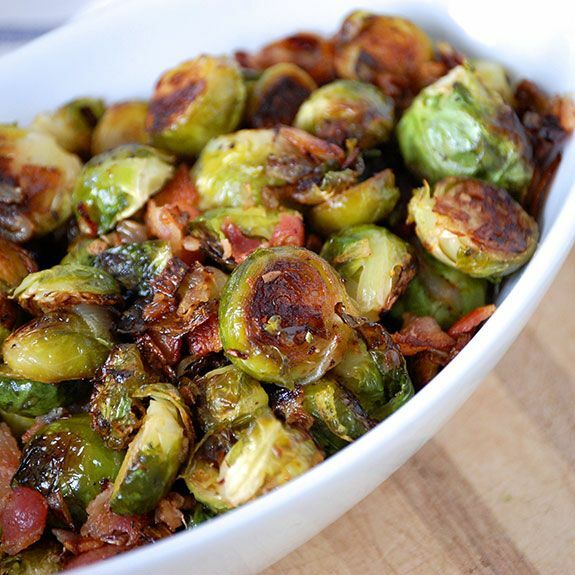 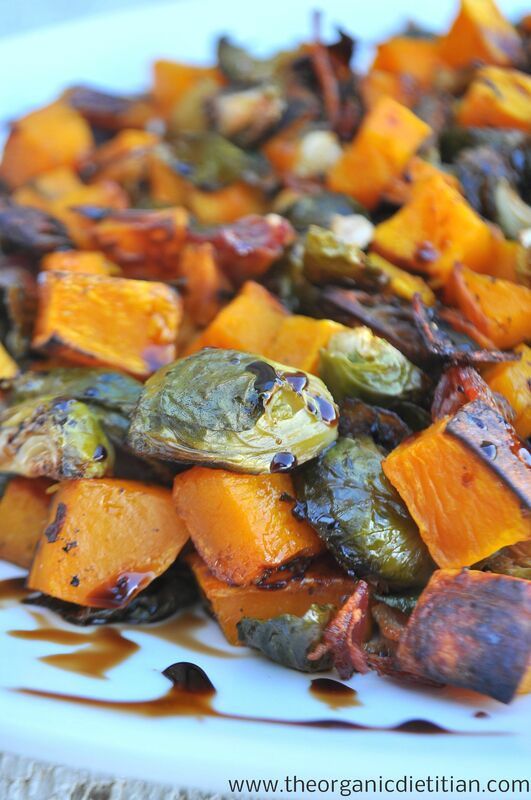 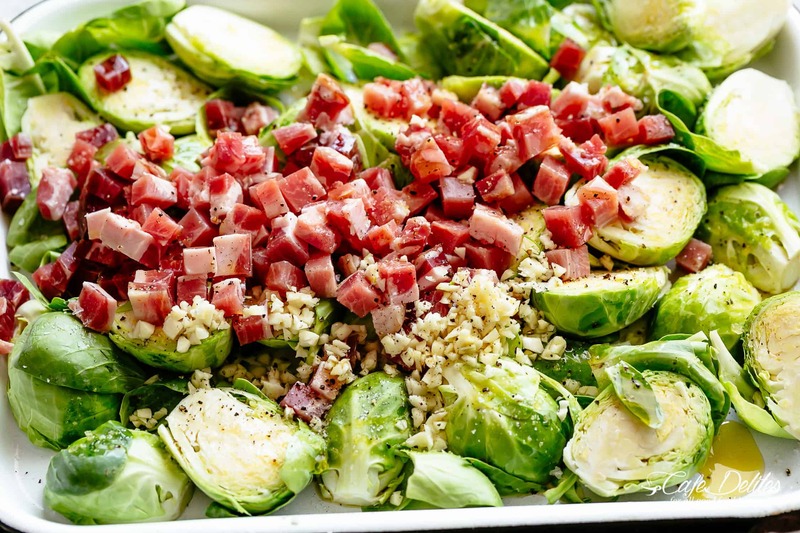 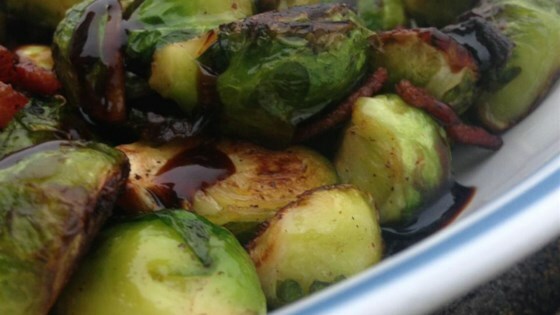 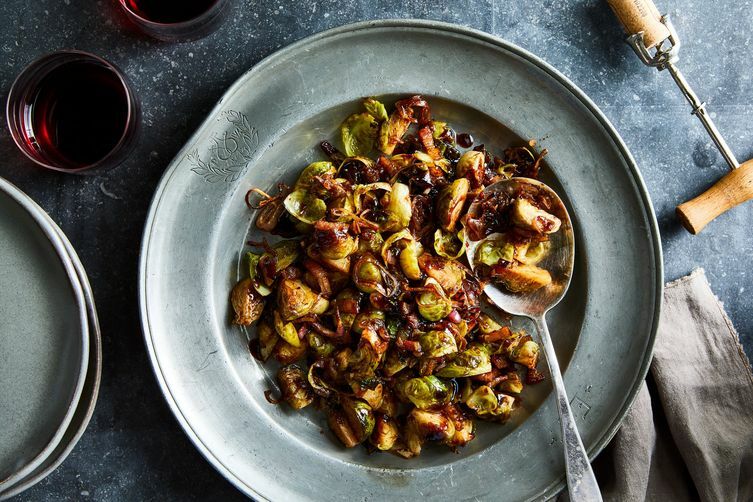 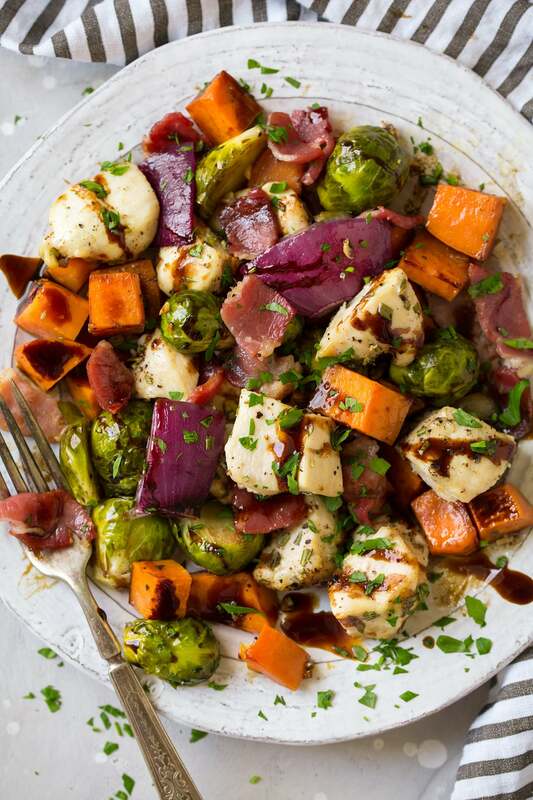 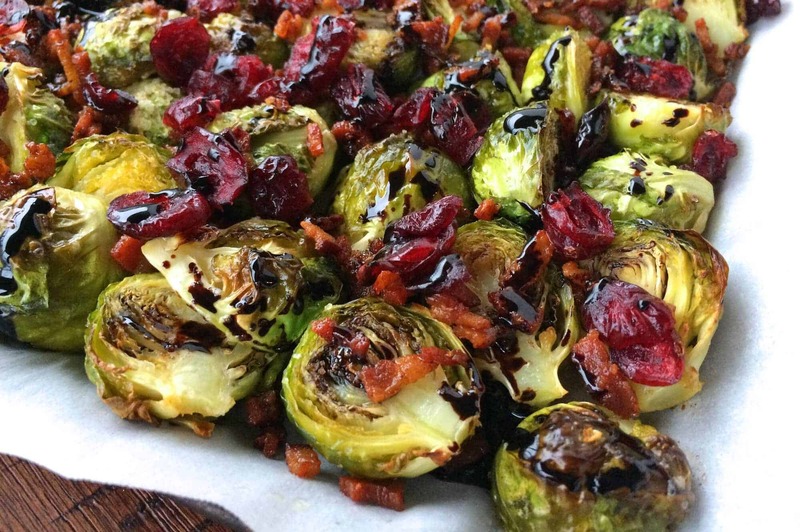 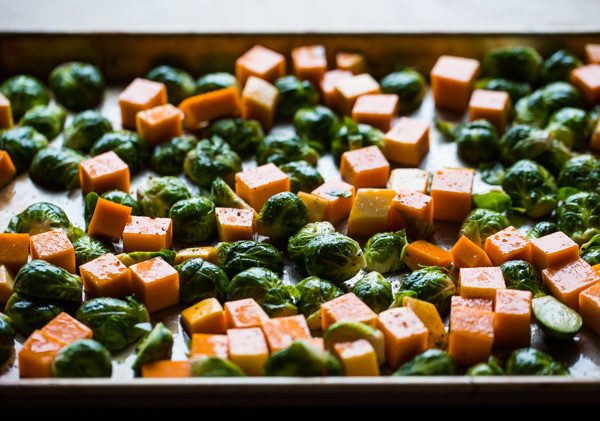 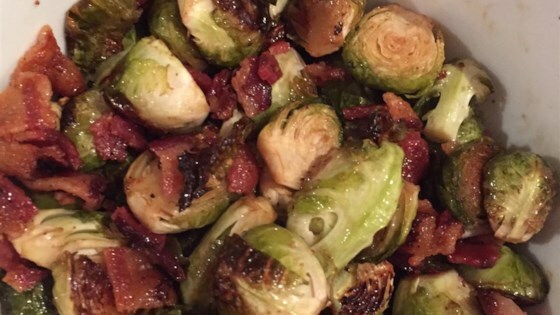 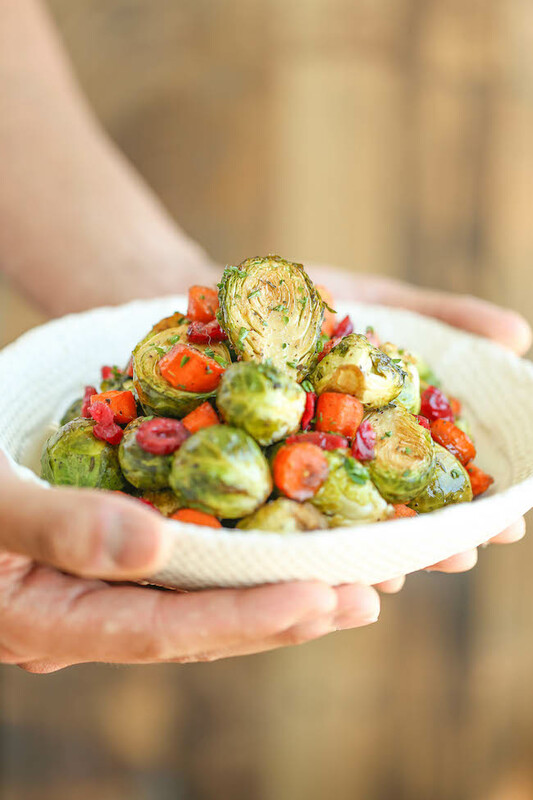 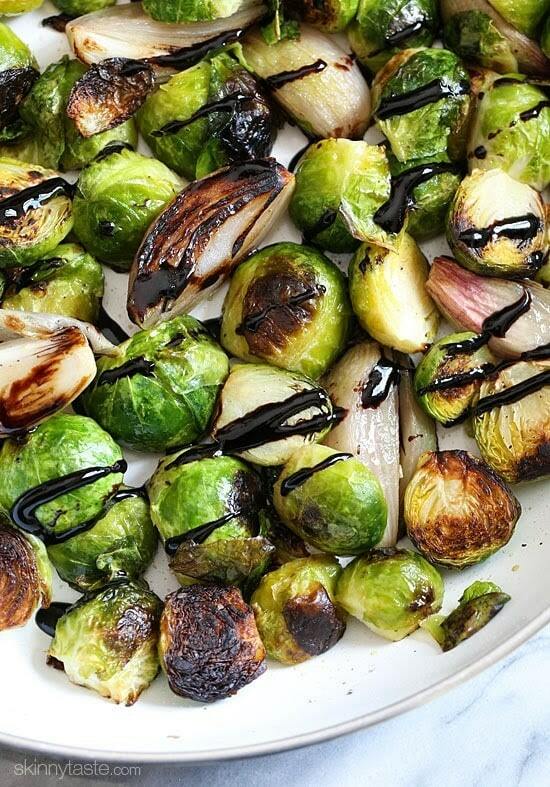 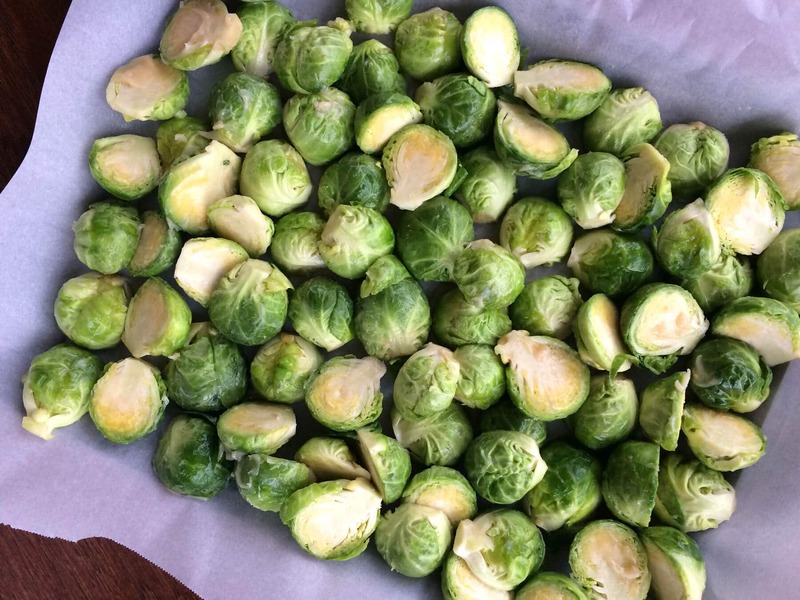 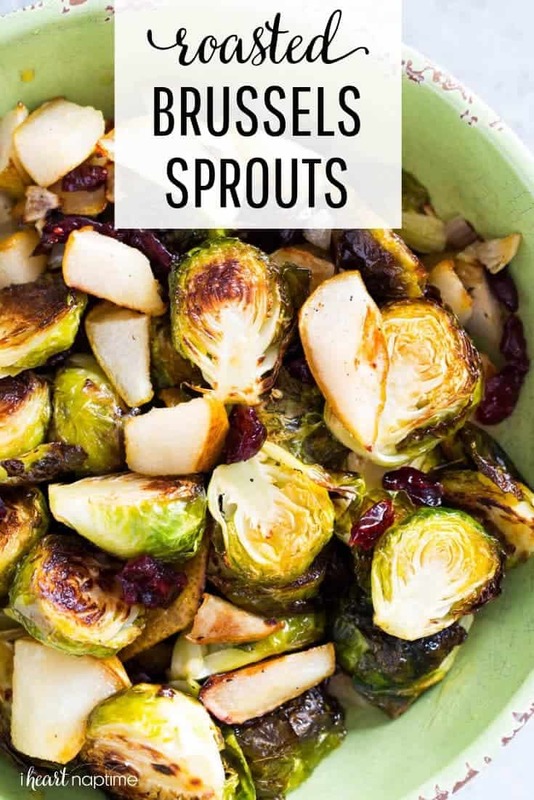 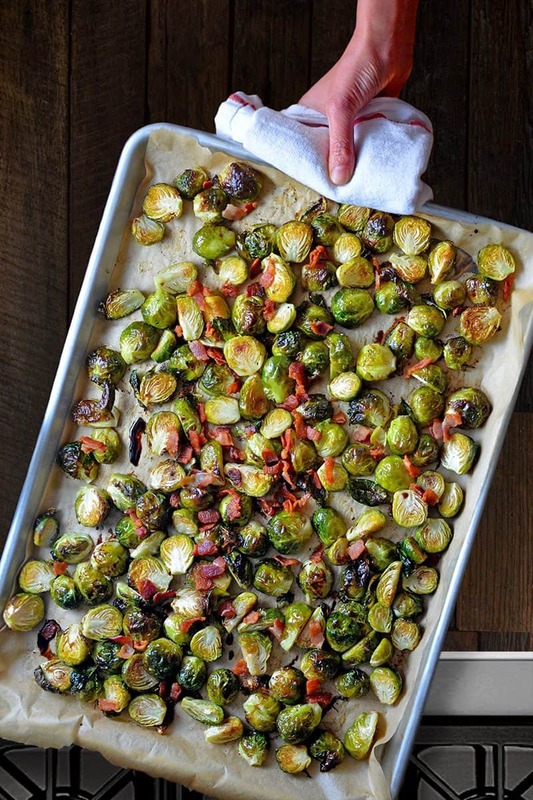 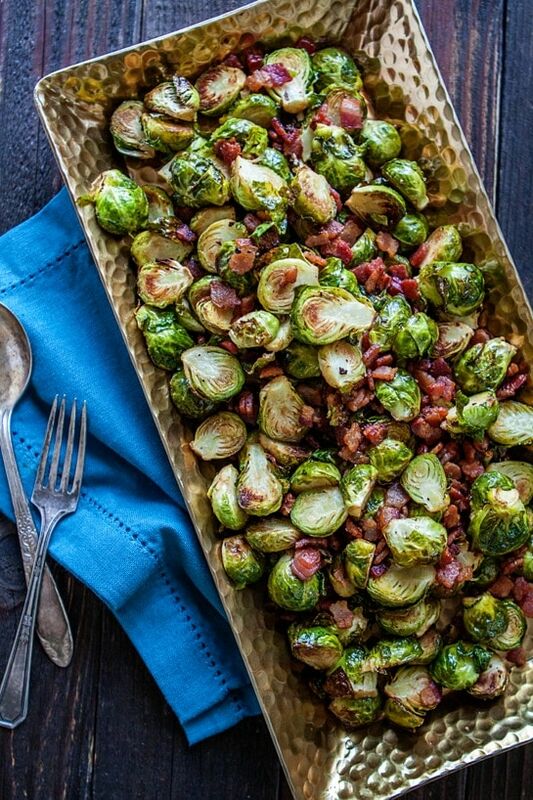 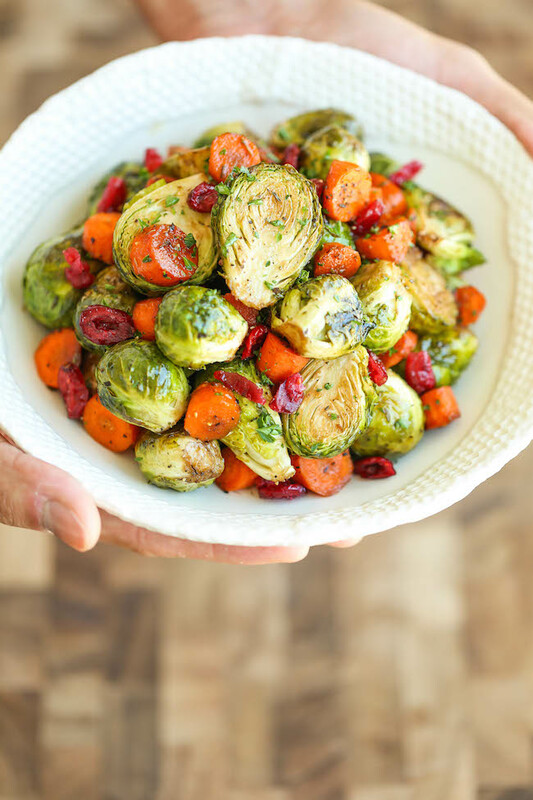 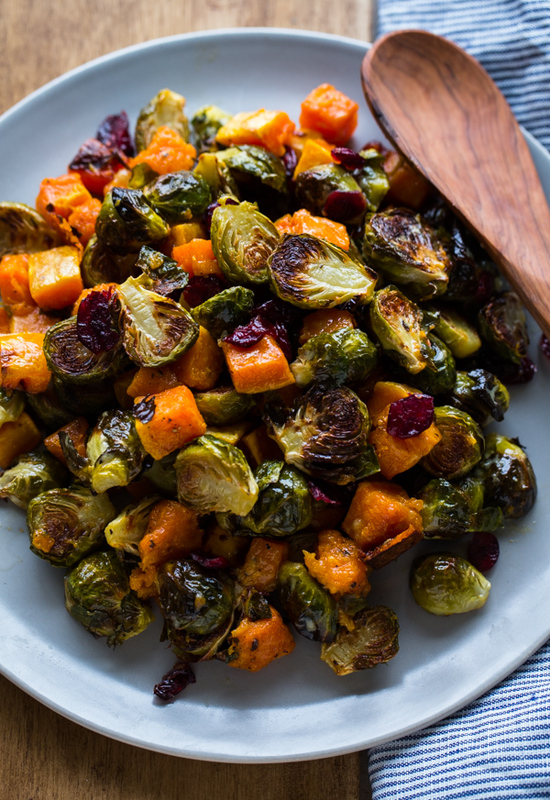 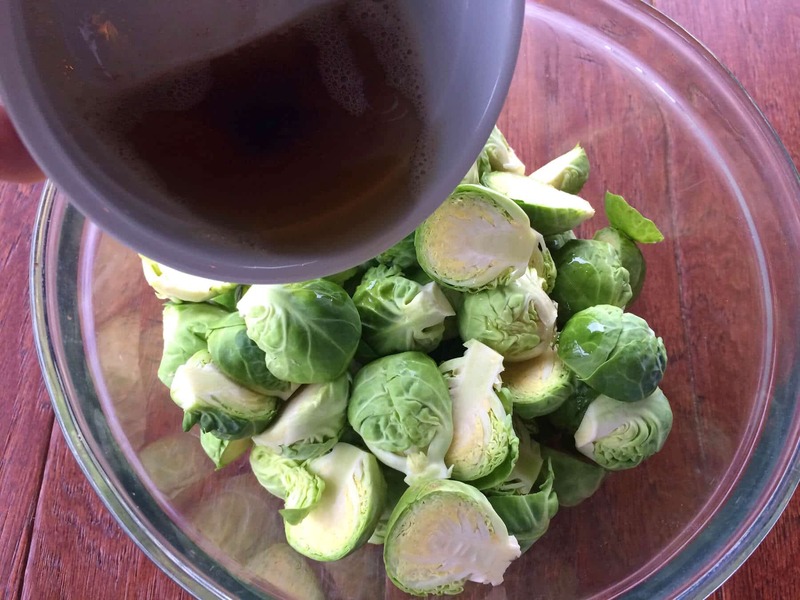 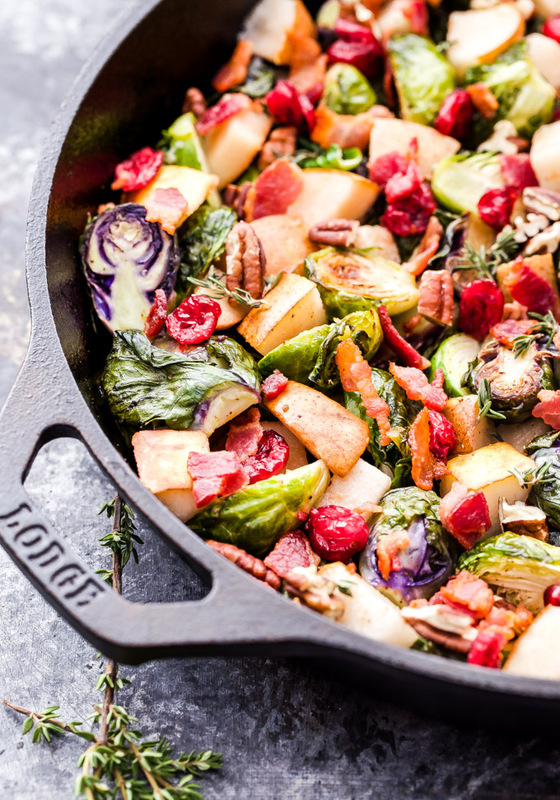 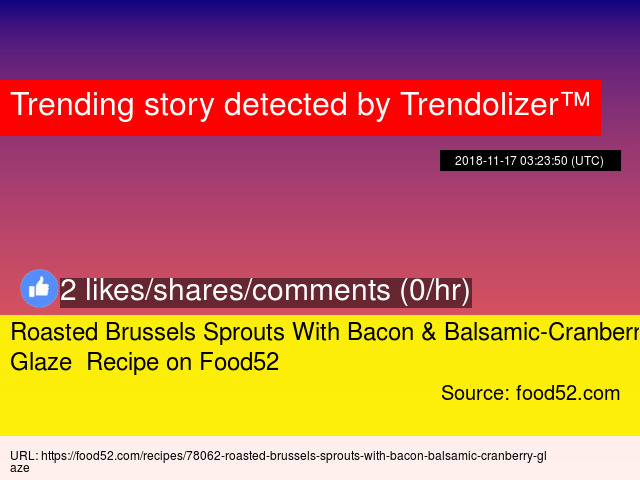 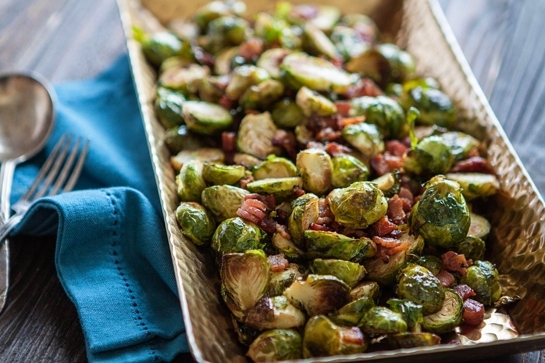 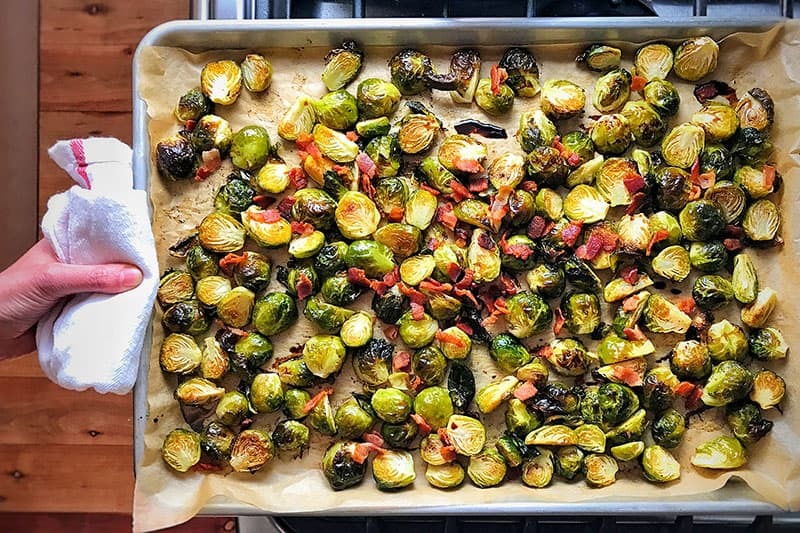 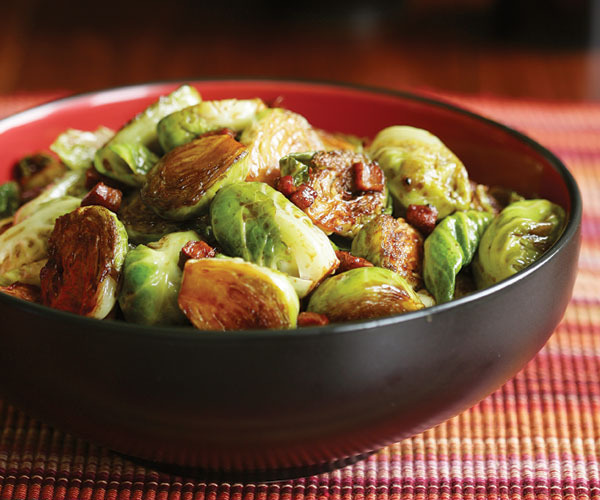 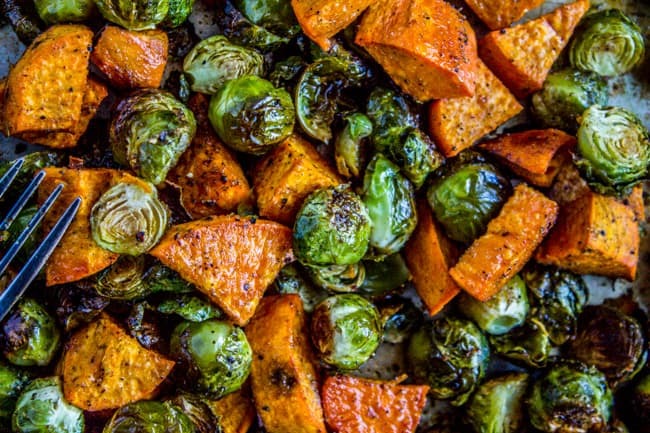 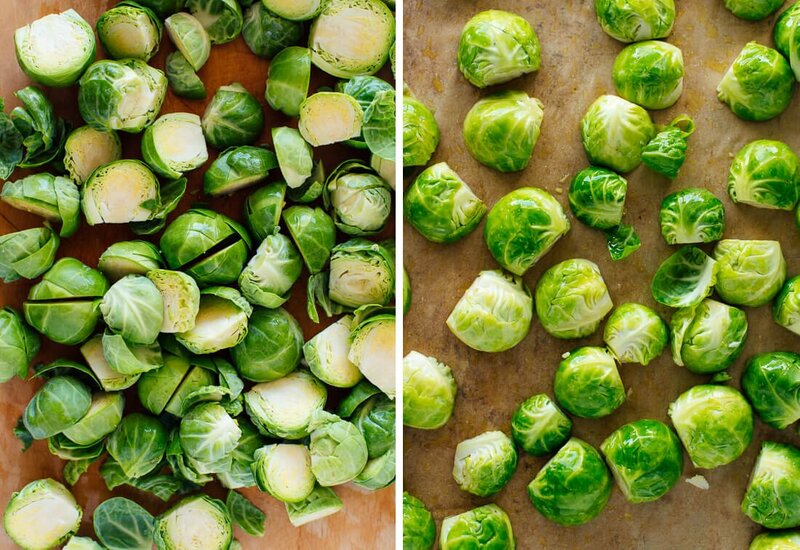 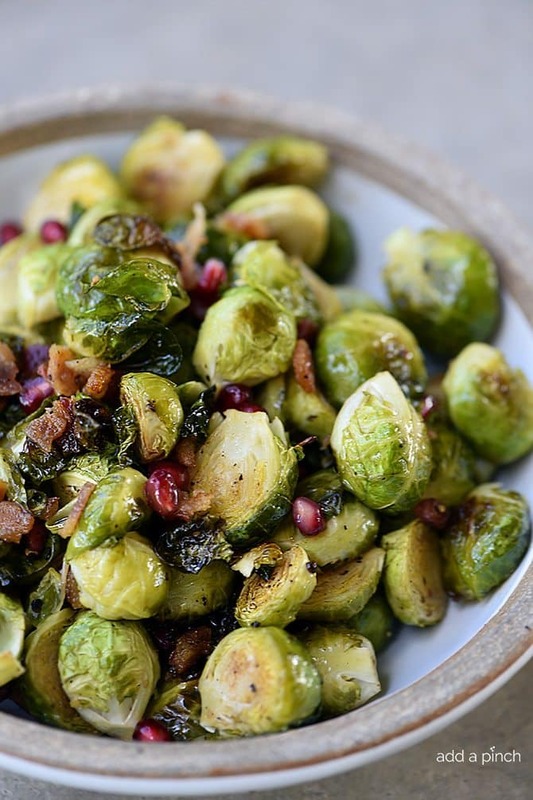 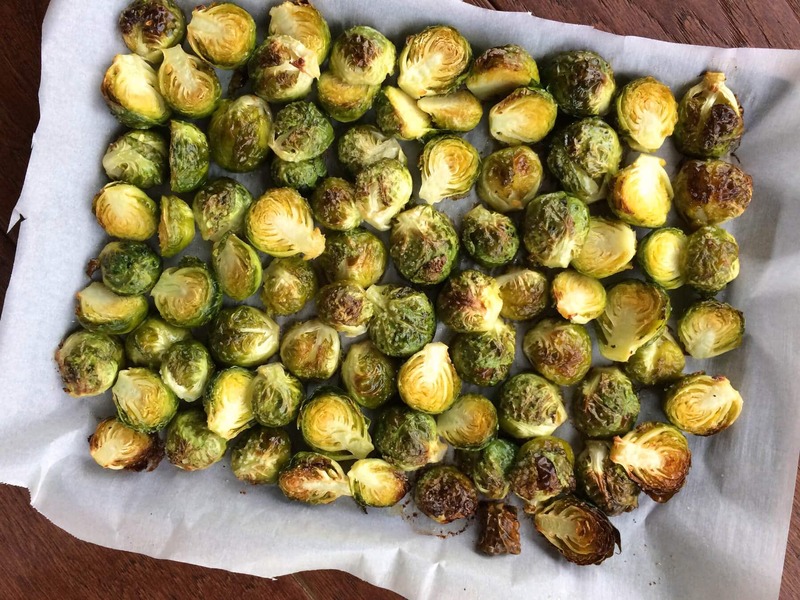 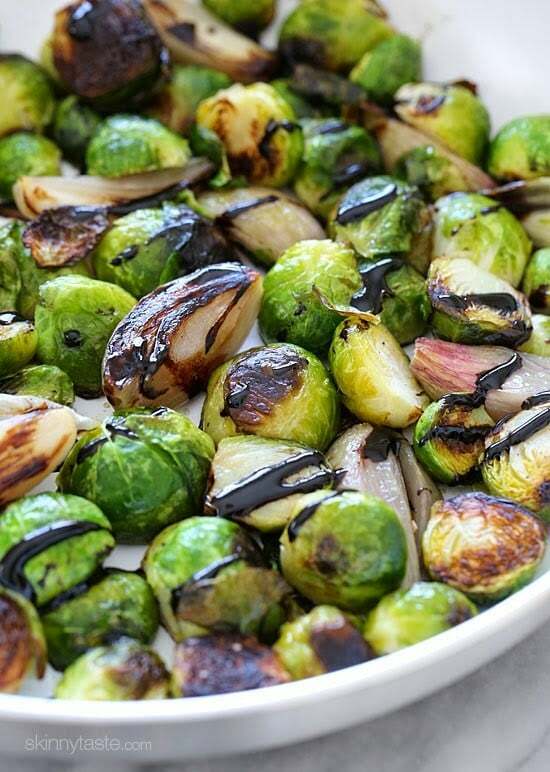 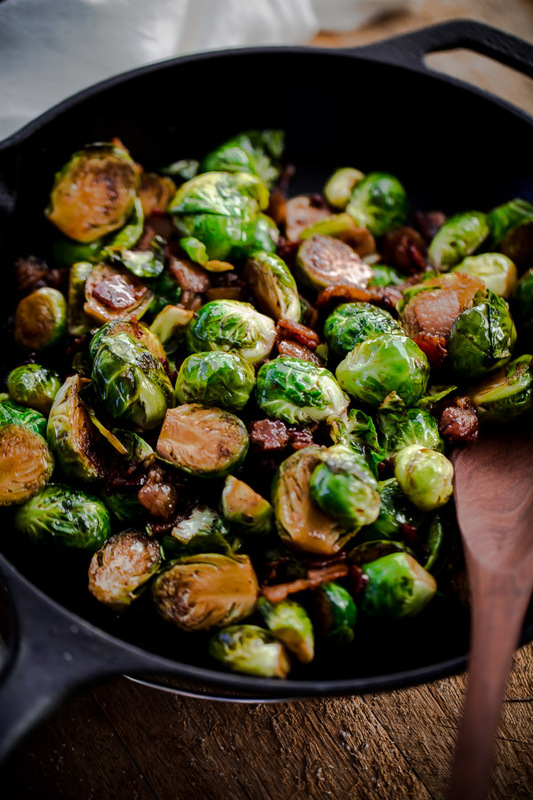 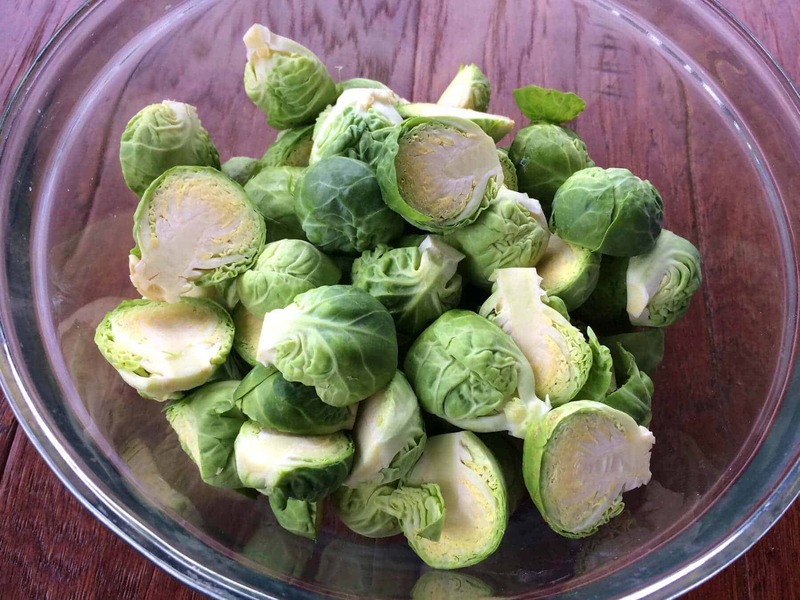 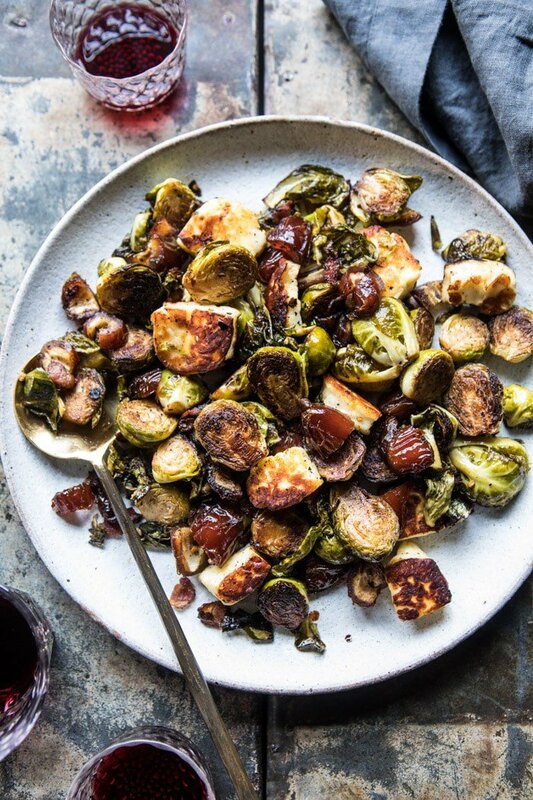 Maple-balsamic Brussels sprouts with baco. 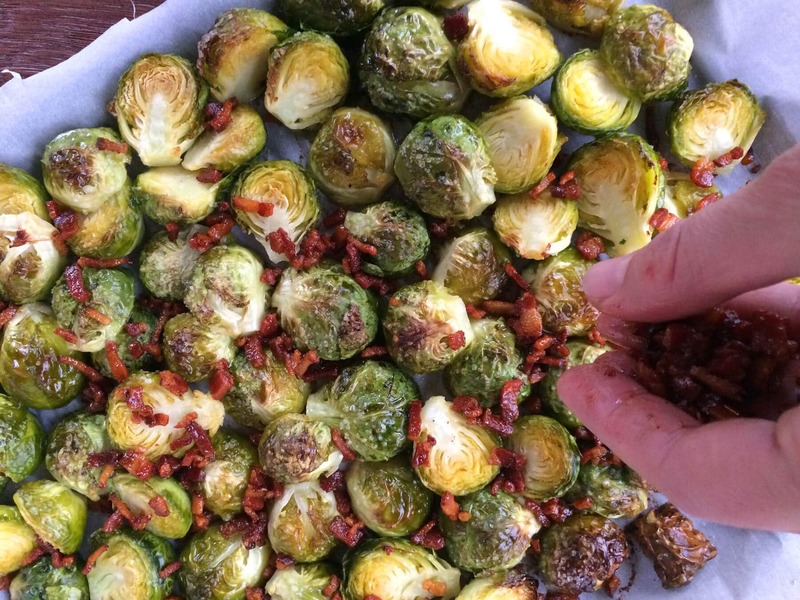 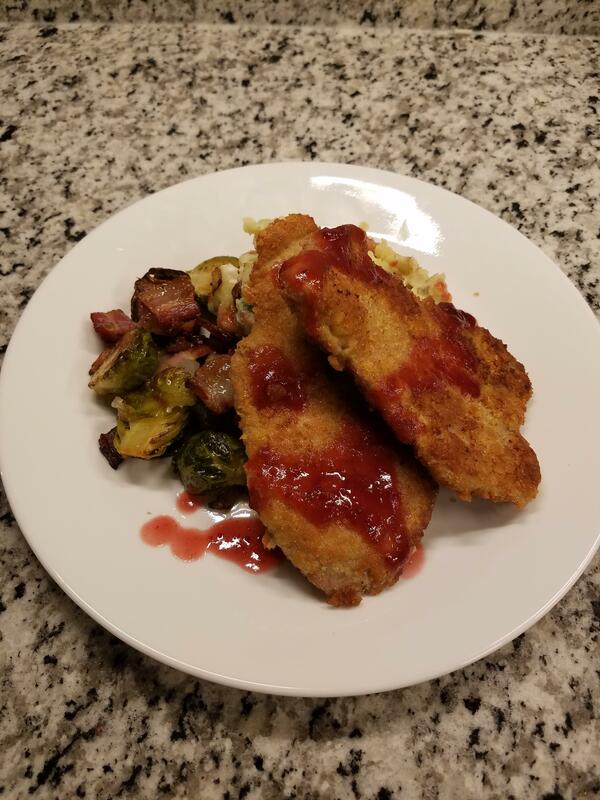 Now couple that “green and golden rose” with smoky bacon, add a little scrumptious sauce, and — boom!